Loss your Motorcycle keys? Broken key in the ignition? We can work on a wide range of motorcycle manufacturers and models: motorcycle key replacement. There are some moments when you forgot where you put your keys, you lost them, or something unfortunate happens and you break the keys used for starting your motorcycle. In more grim cases, you might find your key lock damaged, due to a theft attempt, not allowing you to start your two-wheeled vehicle. And you usually notice things are not how they are supposed to be, or you don’t seem to find your keys, at the moment you want to take off. Instead of getting angry or frustrated, take you phone and make a call to a motorcycle locksmith. Yes, there is such thing as a motorcycle locksmith. A reliable company called Locksmith Monkey, puts at your disposal professionals, with excellent skills, and the needed tools to solve your situation. The Locksmith Monkey has a trained intervention team than can arrive at your location in no more than fifteen minutes since you made the phone call, requesting their assistance. Thus, instead of losing time and getting angry about what happened, with a simple call and a few minutes, the intervention team will make all your problems go away. Not that we wish bad things to happen to you, but it’s always a good thing to have such phone number in your agenda, just in case. It is more unpleasant not to be able to drive away with your motorcycle, than loose a pair of keys. We understand it, this is the reason we chose to offer a particular service for motorcycle owners. If you think that getting your key broken in half inside the ignition key lock is pure bad luck, we, as professionals, see it as the point of maximum usage of the material in the key. Each item has a life span and a period of usage, so it is a chance that one day, it will reach the point where it won’t be capable of carrying the stress and will break down. And this is why we exist because no material will last forever. If a half of key remains stuck in the key lock, we will get it out and make your key lock fully functional once more. But this is not the only thing that we do. Our team members are skilled locksmiths and have high knowledge about how to repair, do maintenance, and make duplicates, not only after your keys, but also after your key lock. 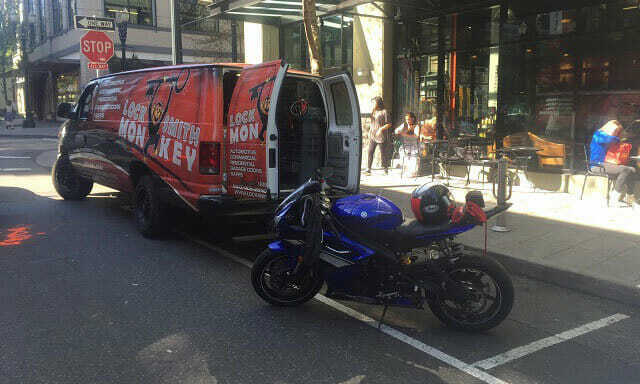 The service offered by Locksmith Monkey does not only imply getting your problem solved or helping you start your motorcycle, but will also replicate the key you need for starting your vehicle. With the technology and skills we have, we have the possibility of making a key starting with nothing, right there on the spot, and in a very short while. It is extremely useful especially in the case you notice your keys are mission or your key gets broken. It is the fastest solution there is, hustle free, which will permit you to be on the road in no time. There just isn’t a key that we can’t or don’t know how to make. We are familiar with all the key manufacturing processes. So we are prepared to face any challenge. Locksmith Monkeys have a mobile unit, ready and on a stand by, and equipped with the latest technology and tools to deal with whatever support you might need. It doesn’t matter what type of motorcycle you have, the age or the brand because there isn’t a key related issue we can’t solve. We know how important the motorcycle is for you, so we want to make sure you can use it in no time. The services we offer are made in your interest, by providing the best available solutions at the best prices. We always look to establish a long-term relationship with our customers, so your satisfaction is the most important for us. When a person chooses to own a motorcycle, he choose the freedom of movement. Having that freedom blocked by a mere key issue is something undesirable. It is why we put our best skills and knowledge to shorten the moment when your freedom is limited. Just give us a call and we will make the key you need, will repair the key lock or the locking system of your vehicle. And all this without putting a burden on your budget. Our services are fast, reliable and efficient, but come with very low costs. You will be amazed of how affordable the services of Locksmith Monkey can be. We believe in offering the best support there is and building a relationship based on trust and collaboration with every customer that calls us. 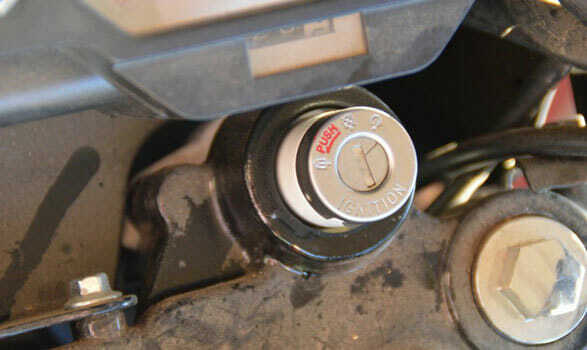 So if you have ignition problems, due to key damage, don’t hesitate to give us a chance. Our mobile unit will get there in not time, repairing or even making you a new key, is this option will be better for you. It is time never to get stressed about your motorcycle key. Anything can happen, independent of your will, which can lead to key damages or key lock malfunctions. In any case and any situation, we are here to offer our services in your behalf. It’s not worth getting upset or stressed because of such matters. These are issues that can be easily managed by our team, in a professional and timely manner. We should all enjoy the vehicles we own, and such problems should never come in our way. Thus, is any key related issue come between you and your motorcycle, just give us a call, and we will come in a couple of minutes and save you from all headaches.